It aims to recognize, respect, protect and promote the practices and expressions of traditional medicine in all specialties, the purposes of this law are noted for promoting the use of traditional medicines based on derivatives of plants, animals and minerals or any combination thereof, in terms of quality, safety, accessibility and accountability. This law will also ensure alignment and articulation of knowledge and practices of traditional health systems among themselves and with the national health system, establishing the Ministry of Health to certify people who practice traditional medicine to provide care to population. This legislation will charge the Nicaraguan Ministry of Health with incorporating traditional medical practices into the National Public Health system, which may serve to legitimate such practices in the eyes of the general population, and strengthen those practices among those to whom they belong. As an anthropologist about to head to the field to investigate the state of traditional medicine in Belize, I find this move exciting and promising. While I'm not as familiar with the situation in Nicaragua, for many people in Belize and other parts of Latin America and the Caribbean, traditional medicine is the only form of health care widely available. Where doctors, clinics and hospitals do exist, they are often out of the reach of many, whether for geographic or economic reasons. Yet, despite reliance on such traditional practices, fewer and fewer people are sufficiently trained to practice effectively. This is largely due to the fact that many of the younger generations are turning to wage employment and moving to urban centers, which typically leaves little time for learning traditions. Further, as traditional medical practitioners have historically served their communities whether payment was available or not, in today's economy, traditional healing does not necessarily represent a way to generate income. Efforts such as those in Nicaragua have the chance to alter this trajectory. This is not a call to return exclusively to traditional forms of medicine, but instead to incorporate traditional medicine into the national health care system. Doing so has the potential to identify the strengths of traditional medicine, and bring to the forefront the value of such practices. It can fill gaps that the national system can not. By legitimizing traditional practices on a national level, the potential is created such that a larger amount of people may seek those services, especially as its strengths become better understood and more widely known. As greater numbers of people seek such services (demand goes up), it may serve to generate greater interest in learning and preserving the practices among the younger generations. Certainly it remains to be seen if legislation like this will result in such positive developments. Still, it is refreshing to see efforts to preserve and promote traditional practices on the national level. A completely integrated health system in which people have multiple options for various health problems scarcely exists in the world, yet people from all walks of life and in all nations continue to use a plurality of medical approaches. It may be that formalizing such a plural system can serve to improve not only health services, but also the health of all people. thanks for sharing this. but why is traditional medicine important to preserve? Traditional medicine can solve medical problems that Western medicine is not able to do. There is also the potential for psychological benefit when working within a person's belief system. 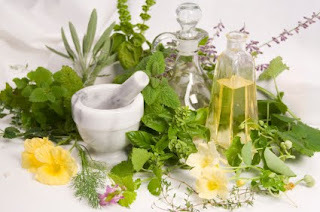 Traditional medicine is important to preserve because there are are many fitochemicals out there in nature that had been used, and are still used in ayurvedic medicine for a couple of thousands of years. Some of this fitochemicals are as effective as modern medicines, and in Nicaragua in more accesible. Preservation of traditional medicine is important because it has been the basis for discovery of modern medicine. Traditional medicine has much to offer global health,particularly as new drugs have never been all the more critically required.On the off chance that both developed and developing nations joined exploration limits in evenhanded joint efforts,new scientific techniques could spark a revival in global health innovative work.~Tina Long.